Where to shop with an OR Tambo shuttle? So, you’ve touched down at OR Tambo and you know you’ll need to stock up on supplies the way the locals do on your way to your accommodation, or you urgently need to purchase those toiletries you forgot to pack. Here’s where to go in your OR Tambo shuttle for what once you leave the airport. Checkers is a large retail supermarket with good and high quality products. Ask your OR Tambo shuttle to take you to Checkers, and they wouldn’t flinch – everyone knows where to locate the nearest one. Checkers houses an extensive fresh fruit, vegetable, herb and food selection. It includes ready to heat-and-eat quality meals as well as a deli. The deli has delectable fresh salad options, roasts, hot meals and a large selection of cold meats. The fishmongery in-house will have fresh, frozen and prepared fish, as well as a decent sushi service. The sushi is prepared fresh in-store. The delicatessen too has a range of delectable treats from caviar and salmon to anchovies, capers and more. If you’re a cheese lover, this is definitely a stop you want to make as this retail chain stocks some of the largest selections of cheese. The best part is the in-house liquor store so you can pick up a good wine to enjoy with your cheese. Look out for the Odd Bins wine range – these are estate wine leftovers that are differently packaged for a fraction of the price. You could expect to find a great wine for anywhere between R30 and R70 a bottle. You’ll also be able to stock up on all your dry and tinned foods, household products, general toiletries, crockery, a good selection of outdoor living and even camping gear. The pharmaceutical section houses most over-the-counter products. The second biggest one closest to the airport and most central for the Sandton, Fourways, Bryanton, Rosebank intersection of suburbs is in Sandton City. It is a Checkers Hyper, so is a very large version of the store and you should be able to stock up on everything you could think of, except clothing. The nearest one to the airport though is a Checkers Hyper – a supersized Checkers, in other words – in Meadowdale Mall, Van Riebeeck Avenue, Germiston. 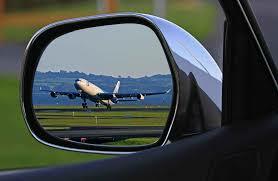 Your OR Tambo airport shuttle bus driver should be able to get you there in ten minutes in normal traffic, as it is only ten km away from the airport. Ask your OR Tambo shuttle to take you to Sandton City Mall – chances are, you will have to pass Sandton if you’re heading just about anywhere in Joburg from the airport. Reaching Sandton via OR Tambo shuttle will take you just over 30 minutes. This is actually the biggest retailer in South Africa and is the sister brand to Checkers. If you’re in a group and want to stock up on the basics – anything from bread, food and hair products to personal hygiene staples and more – get your OR Tambo airport shuttle bus to make a Shoprite detour. Shoprite caters to a slightly lower market than Checkers so you’ll find all the categories of goods housed in Checkers, minus any premium products. The RiteBrand goods, such as detergents, for example, are the Shoprite housebrand goods and as great as the real thing, often at a fraction of the price. Shoprite prides itself on affordability so this is a good place to go to make your rands stretch. Look out for the weekly promotions in-store – there’s often a great bargain to be had! Mostly, Shoprite does not stock in-store liquor though. Many Shoprite stores have their own pharmacy, Medirite. You can get over-the-counter drugs as well as your prescription medicine. It will only take your OR Tambo airport shuttle bus about 20 minutes to reach the nearest Shoprite – great for if a group of you need to stock up on supplies quite quickly. 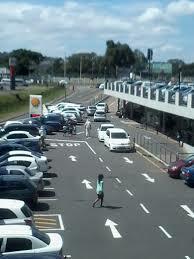 Ask your OR Tambo airport shuttle bus driver to negotiate Shoprite in Golden Walk Shopping Centre in Germiston. The stores are sensibly laid out so you probably won’t be holding up the driver of your OR Tambo shuttle too much, and isn’t much of a detour as it is en route to so many places in Johannesburg. This is a luxury nationwide retailer, with Woolworths in Australia being part of this group. Think of it as somewhere between Marks & Spencer, Waitrose and Selfridges in the UK. The stores are not nearly as expansive though and don’t come with on-site restaurants. But the food and deli aisles stock only the finest quality, premium products, with many familiar imported products on-shelf too. The added bonus of Woolworths is that they stock a large line of fashion, cosmetics and premium underwear, including their incredible lingerie lines if you’re a lady. In the food store, you’ll find limited household washing, detergent and other non-food grocery items. You also won’t find pharmaceuticals, hardware or camping gear. What you will love, is the high-end food and fashion shopping experience, indulgent floor layout and premium shopper experience. 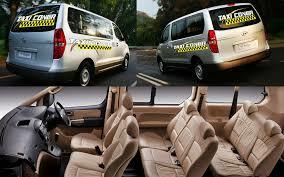 As your OR Tambo shuttle to ferry you to Sandton City, Rivonia Road. There is also one nearby in Morningside in The Wedge Shopping Centre. From the airport, it will take you 30 minutes via OR Tambo shuttle. 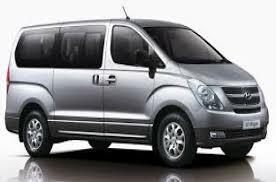 Another great stop for your OR Tambo airport shuttle bus, especially if you’re in a group. Pick n Pay, like Checkers, is a one-stop grocer, household and hardware store. A great place for big shopping trolley trips at reasonable prices. Checkers and Pick n Pay compete for market share. The average shopping basket is probably slightly cheaper at Pick n Pay, but Pick n Pay has great store discounts too at any given time. Look out for Brandmatch items. If an item is designated as such, you won’t find it cheaper anywhere else. There’s one in Boksburg, 10 km away from the airport. There are about three Pick n Pays in either direction in under 15 minutes from the airport, so simply ask you driver to head to the nearest one that’s also en route. There is no way that any cab or shuttle driver would not know where to find Pick n Pay. For probably the widest selection of health, beauty and hair and household appliances. Forgot your hair iron, curling tongs or blowdry machine? No problem, R300 at Clicks means your hair dilemma will be a thing of the past in no time! Ask the driver of your OR Tambo shuttle to take you to Clicks in the Bedford Centre, which will take only 15 to 20 minutes from the airport, depending on which route your driver chooses. Spar as a grocer is one of the most aggressively expanding retailers in South Africa. You’re likely to find them where a huge Pick n Pay or Checkers isn’t in the vicinity. Spar is the scaled down model of SuperSpar, which is the bigger, all-inclusive retailer. Most SuperSpars have evolved to be highly impressive and quality driven, with the deli sections proving particularly extensive and enticing. You’ll find your nearest one in the Karaglen Shopping Centre in Edenvale, in under ten minutes. The good news is, it’s a SuperSpar too.